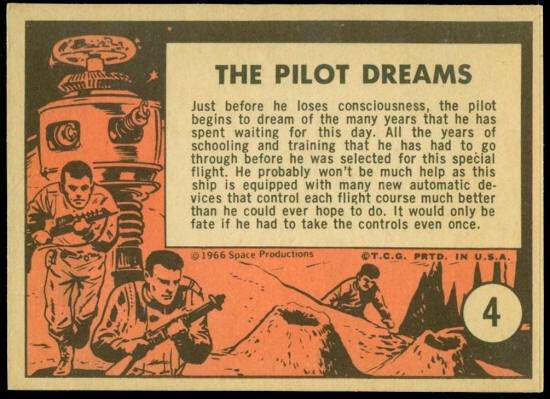 Just before he loses consciousness, the pilot begins to dream of the many years that he has spent waiting for this day. All the years of schooling and training that he has had to go through before he was selected for this special flight. 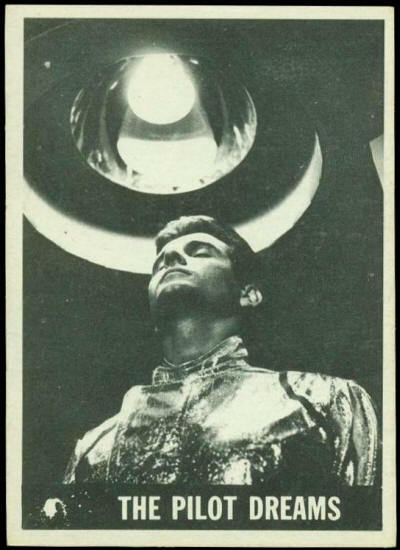 He probably won't be much help as this ship is equipped with many new automatic devices that control each flight course much better than he could ever hope to do. It would only be fate if he had to take the controls even once.